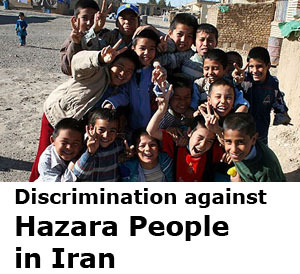 Note: English translation courtesy of Hazara Organization for Progress and Equality (HOPE), USA. I [Chairman HDP, Khaliq Hazara] welcome you to this press briefing! 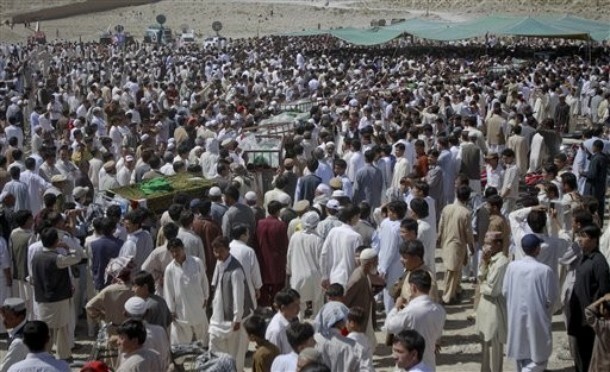 On 20th Sept, 2011, once again the enemies of humankind killed 30 innocent people –that included businessmen, pilgrims, laborers, and other passengers — in a barbaric way by singling them out [for being Hazara], making them stand in a line and killing them one by one. There cannot be any bigger example of the terror and barbarism [then this incident]that are creating ethnic and religious divide among people of many nations [living in Balochistan]who have coexisted peacefully for centuries. 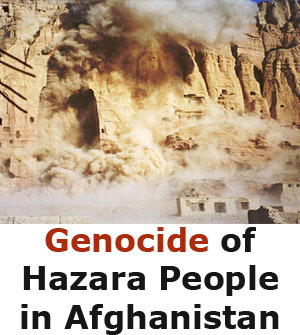 Despite these never ending terror attacks against Hazara community the silence of the government indicate that there is something going on behind the scenes. We have tried our best to keep the bonds of brotherhood intact and our peaceful coexistence with other nations [living in Balochistan]by promoting unity and to keep our historical value system of brotherhood in Quetta city. But the never-ending attacks singling out our community is harming such efforts. It is only natural that the after math of such incidents creates distances between people of different ethnic communities. However, we will continue our mission of promoting peace and unity. We had expected from other political parties, civil society, student unions, businessmen, lawyers associations, and media, for coming forward and playing a positive role. But we are sorry to say that despite our clear indications and practical steps (HDP called several “All parties conference” in Quetta to initiate a dialog on safety and security issues), none of these organizations has come forward to work on maintaining brotherhood and unity between different nations [living in Balochistan]. Those who are leaning on ‘silent diplomacy’ will be faced with similar fate. But we will still be there for them in their difficult hours. Today, once again, we make a plea and hope that all the aforementioned organizations will come forward and stand together with the Hazara nation in this difficult hour. Last week we took our plea to the rulers and civil society in the capital, Islamabad, hoping for the justice from our government, but once again it fell on deaf ears and we heard nothing but silence. No one, including the Human Rights organizations and other democratic forces, had a word of sympathy for our situation. I say this with deep regret that the [law and order]situation in Balochistan means nothing more then the fiction in the hearts and minds of our Federal Government. Today, we expect no justice from our judicial system or from anyone else. Our desperation is at its peak and our eyes have dried out telling everyone of our dire situation but no justice is expected still. We say this with sorrow that people from all walks of life are seeing such injustice as the new norm. Government has issued us license to carry firearms for personal protection but not the right to carry it with us. They create cases against us when they find us carrying one. What type of justice is this where terrorists and killers can openly carry missiles, machine guns, AK-47’s, and other heavy weaponry openly? Kill innocent civilians and then helped by the law enforcement agencies to escape from the scene? Is it ok for them to carry this, but not for the innocent civilians to protect themselves? Today we say with full confidence that high officials of the Balochistan Government, as well as black sheep in the law enforcement agencies, are involved in helping and abating these terrorists who are killing our people. We have proof of this from yesterday’s heart ranching attack on our people where two passengers, namely Khudaidad and Zia, were taken hours later to (close by) Mastung hospital while other bodies were transferred to main Bolan Medical Hospital (35 Km from Mastung) after 5 hours. We are afraid that government forces may have played a role in deliberately letting these critically wounded individuals (Khudaidad and Zia) die by subjecting them to further extreme violence. We call for the appointment of high level inquiry commission to investigate why they were taken to Mastung hospital [knowing Terrorists have complete control in the Mastung area]. It is important to call your attention to the fact that this is the second time Shalimar Coach (Bus company name) has been targeted. On Sept 20th, bus was driven by the owner of the company, Haji Malik, himself. In the first incident on this coach as well, the bus driver was absent once again and was driven by the owner’s brother. According to our information, the owner of the bus company is involved in the sectarian related activities. On Sept 20th, the person presented to the media as the driver is in fact the ‘munshi’ (book keeper of the company) and not the driver. The absence of a professional driver in both the incidents raises some very serious questions. By focusing the investigation on these facts, we may get to the identities of those who are spying for terrorists [and alerting of the Hazara presence so the terrorists can ambush them with precision]and hence we can reach to these terrorist networks. These incidents are a wake up call for the Government and Judicial system which takes notice of even small incidents but have failed to respond time and again for the past 10 years. If law enforcement agencies can take action against law and order situation in bigger cities such as Karachi, then what is stopping them from doing the same in smaller city such as Quetta? Yesterday’s incident (Sept 20th) provides ample proof of the involvement of black sheep within the law enforcement agencies that are responsible for the blood bath of the Hazara nation. 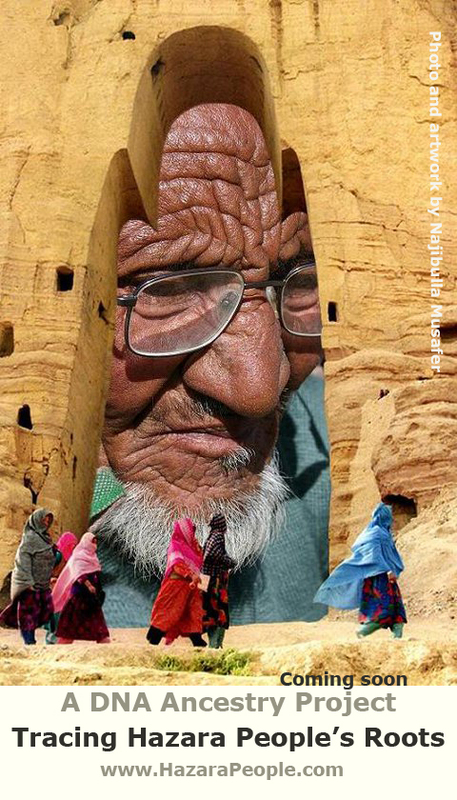 Here it is important to point out that the local people of Balochistan know each other by their features. However, during the incident, the orderly fashion in which these terrorists proceeded to line up all passengers and checked their passports, may point to the fact that armed terrorists were not locals of Balochistan and the orderly search may indicate that they may belong to law enforcement agencies outside Balochistan. The high chambers of the parliament (MPA, MNA, and Senate) and highest courts are ignoring our voices. Government has turned their deaf ears on us. Law enforcement in the Local Government are aiding and abating the terrorists in their actions against the Hazara nation. 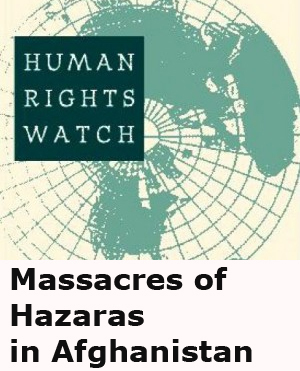 In such a situation, we are forced to call for a global protest in which the members of the Hazara nation from USA, Europe, UK, Australia, Canada, Afghanistan, and other countries will participate and protest the target killings and the Ethnic cleansing of the Hazara nation. The protesters will record their grievances with the UN, European Union, and Pakistani embassies. We will draw the attention of the Human Rights organizations internationally and inform the World community about the atrocities committed against us. We have started engaging the World Hazaras organizations and communities and according to schedule, the demonstrations and protest movement will start from 1st October. If even then the Government did not take concrete steps to protect the lives and properties of its citizens, then we will announce call for further protests. We want to point to the fact that Hazara nation has spilled its blood and sweat for the development of Pakistan, Balochistan, and Quetta city. 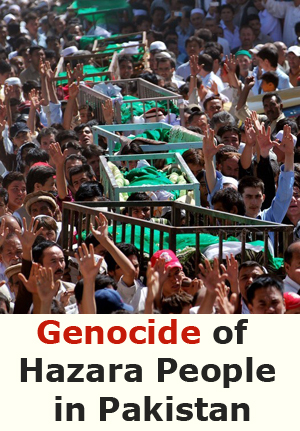 Those dreaming of demoralizing the Hazara nation are living in the fools’ heaven. We are getting tired of demanding resignation from the irresponsive local government and demanding operation against targeted killers. In this “jungle’s law” (lawless situation), citizens have to take steps to protect themselves. It would be foolish to further trust and rely on the Government. 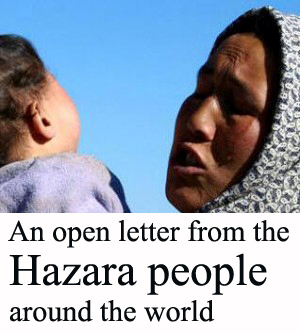 We demand from United Nations and International Human Rights organizations to take immediate notice of the ethnic cleansing of the Hazara nation. And we demand from our higher courts to take notice (much like it was done in Karachi) of the situation in Quetta.